This door organizer is engineered specifically for the SnapSafe® door. 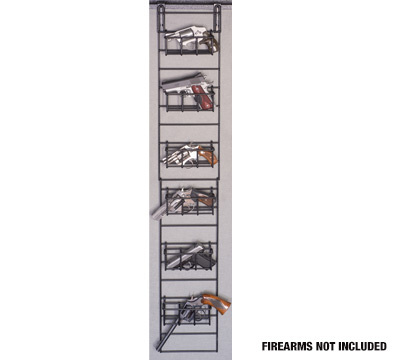 It includes 6 handgun baskets that will accommodate handguns or other accessories, installs in just minutes, and the PVC coated steel doesn't scratch or damage handguns. Dimensions - 8.25" Wide 48" Long. Made by SnapSafe®.